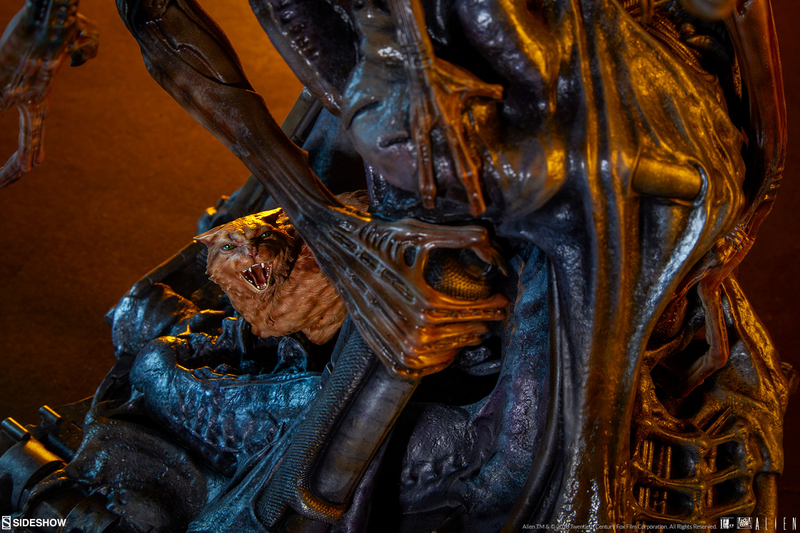 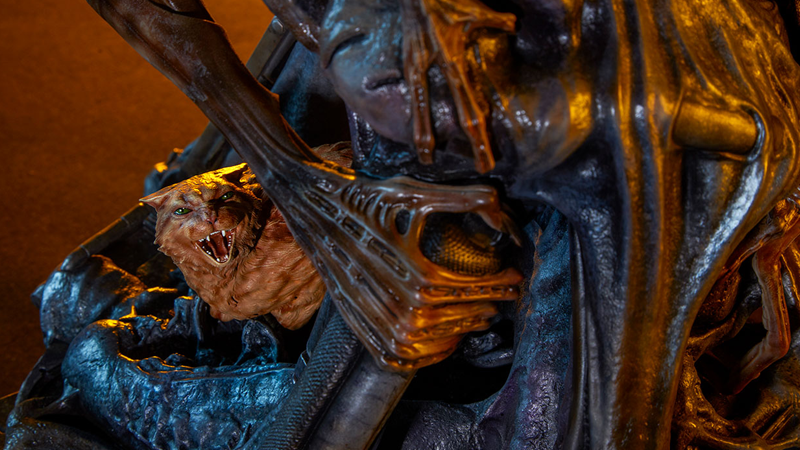 We can exclusively reveal that the next statue in Sideshow Collectibles’ “Mythos” line — which features redesigned re-imaginings of movie icons, such as a post-Revenge of the Sith Obi-Wan Kenobi and a rogue female Terminator — is a haunting new take on Aliens’ best kitty, Jonesy. 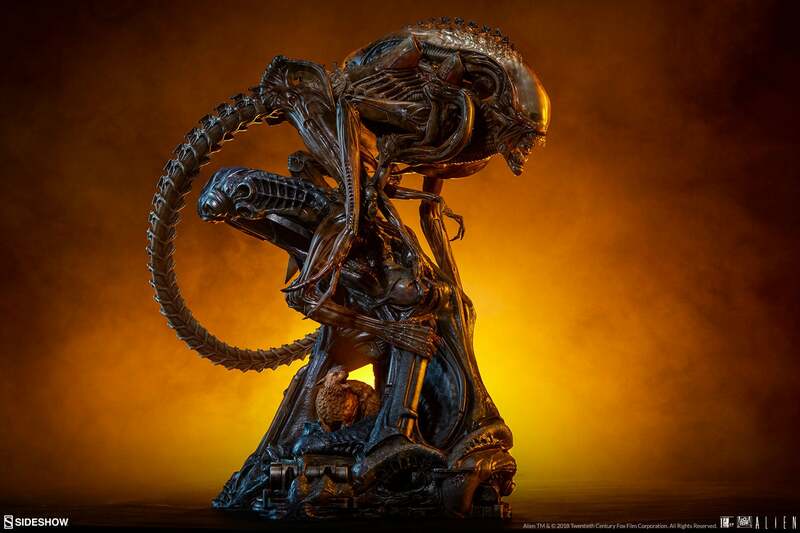 Oh, and also there’s a giant new version of the Xenomorph too, of course. 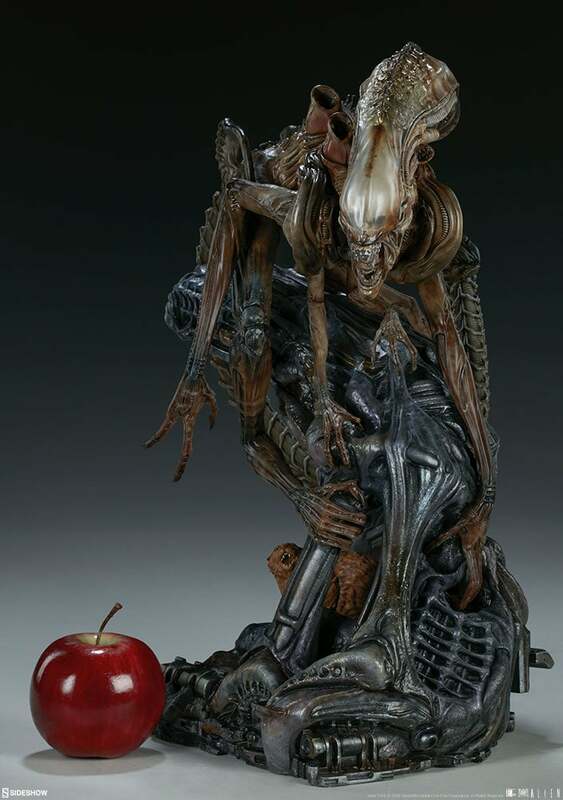 Redesigned by Legacy Studios and Sideshow, the Mythos alien offers fans a creepy new take on the classic monster as seen in the first film, keeping elements of the organic, H.R. 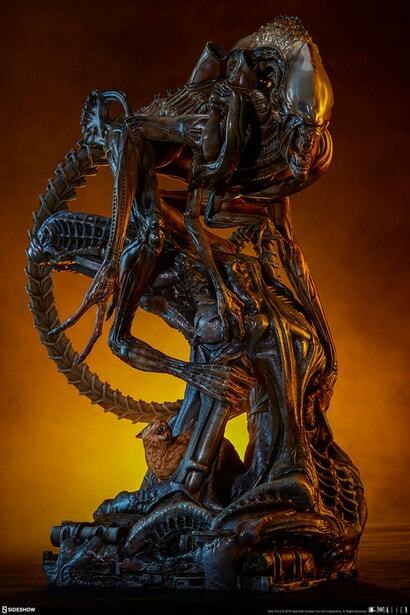 Giger influence, while amping up the agile hunter style that the original “Big Chap” design could only be capable of in our nightmares. 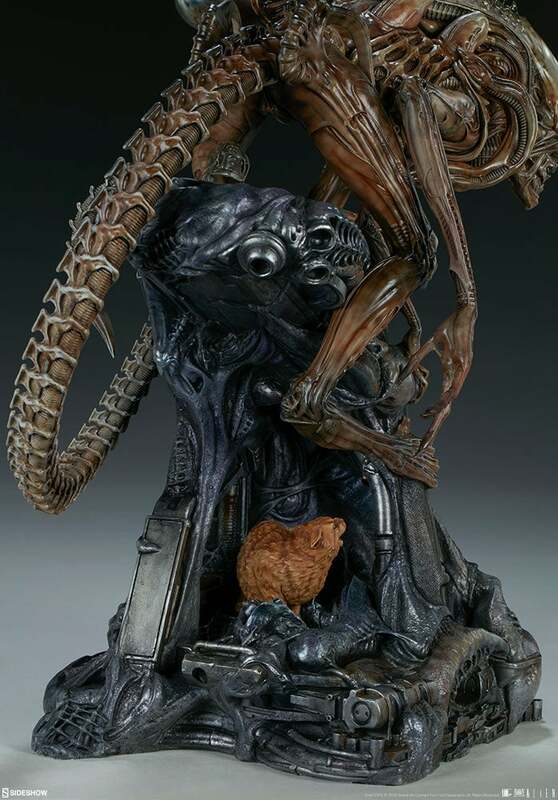 No one, that’s who. So if you’re interested in picking up the Mythos Alien when it’s available, head on over to Sideshow Collectibles and sign up for the mailing list to be alerted when orders go live — and if you’re attending New York Comic Con next week, you’ll be able to see it up close and in-person at Sideshow’s display at booth #1912.